After horizontal and vertical wind turbines, now it’s about Flapping wind turbine. 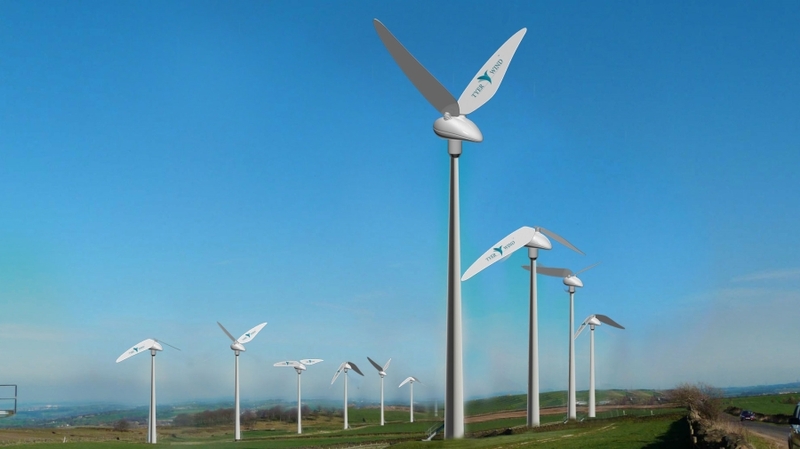 Revolutionary flapping wind turbine mimics hummingbirds to produce clean energy. 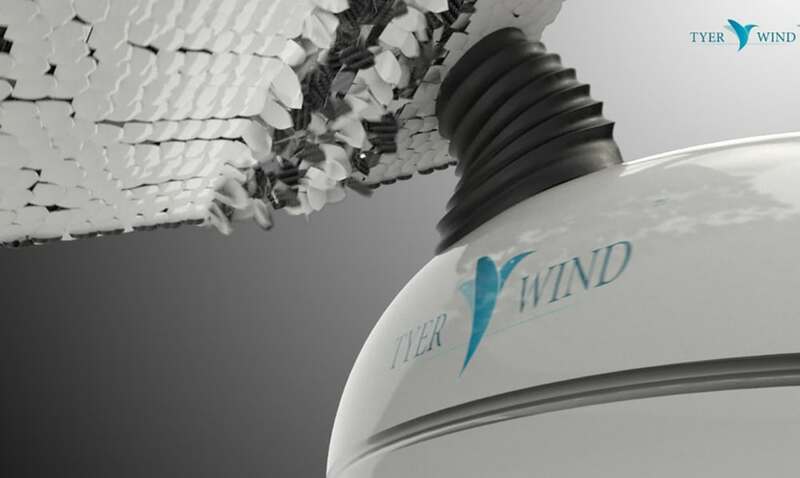 TYER WIND, a Tunisia based innovative startup operating in the field of wind energy R&D, has developed a revolutionary new wind converter. 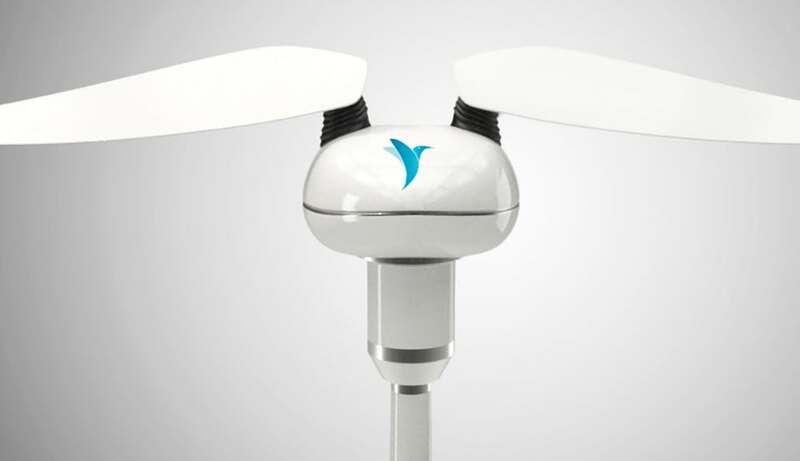 The wind turbine mimics the motion of Hummingbird’s wings to harness wind power and generate green electricity based on the underlying 3D Aouinian Kinematics. Hummingbirds are the only group of birds with the ability to hover and to fly backwards. The motion of the Hummingbird wings (infinity in 3D) have intrigued many researches who have been struggling to mimic it. The Aouinian 3D kinematics allows the conversion of a linear motion into a rotational one (reciprocating) and is capable of imitating animal kinematics including that of hummingbird, flying insect. 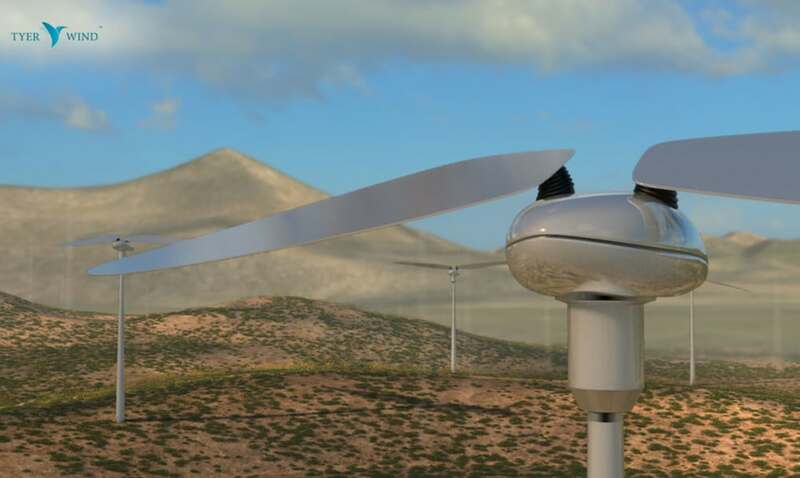 The wind converter has 2 vertical axis wings made from carbon fiber, each 5.25 feet long, that convert kinetic wind energy. Combined, the 2 wings sweep an area of nearly 12 sqft, with a pre-industrial rated power output of 1 kW. The turbine is still in the testing phase, gathering data on such things as power efficiency, aerodynamic behavior, material resistance and stress over the mast. No word yet from the company on a number of key specs, including real world performance capabilities or price and release date.